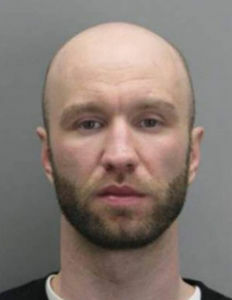 WASHINGTON — Fairfax County police are searching for a man who evaded arrest Saturday by climbing into the ceiling of an Alexandria motel and escaping through an attic. Alton Thodos, 32, is wanted on charges of grand larceny, credit card theft, credit card fraud and a probation violation. 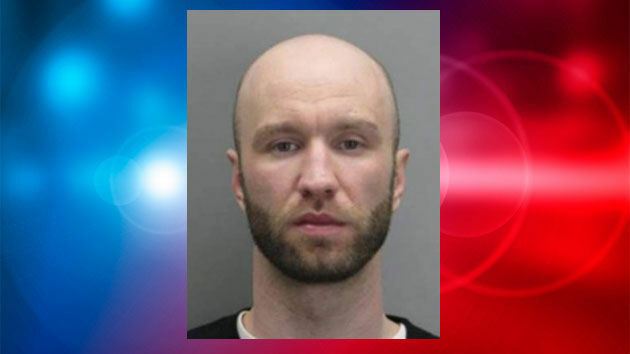 He was with a woman in a motel room in the Virginia Lodge Motel on Richmond Highway at about 3 p.m. when police came with an arrest warrant, a Fairfax County Police Department release said. Police backed off when he threatened to harm himself, but were able to get into the room when the woman opened the door to get away. When officers entered, Thodos climbed up through the ceiling and into an attic, police said. He escaped through another part of the building and got away before police could secure the area, police said. Officers sprayed tear gas in the attic to try and force him out. Later, surveillance video showed that he had already escaped. Police are seeking the public’s help in finding Thodos. He is believed to be 6-foot-1-inch and weigh about 175 pounds. Thodos has a beard and was last seen wearing a hat and a white shirt. He may be driving a silver 2013 BMW X1 with Virginia tags UZE-8869. Anyone with information about Thodos’ whereabouts is asked to call 703-631-2131. Those wanting to submit a tip anonymously may call 1-866-411-8477, text “TIP187” to 274637 or submit a tip online. Anonymous tipsters may receive a cash reward of $100 to $1,000 if the information leads to an arrest. Below is a map of the area where police were originally serving an arrest warrant.